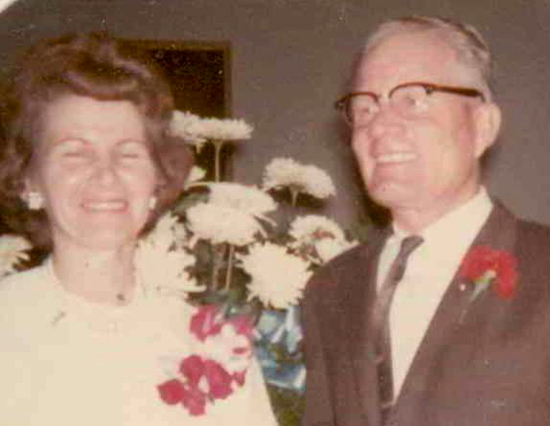 Earl Samuel and Velma Rose Larson Allred: The Allred’s were both born in Arizona and were married in 1936. They had 10 children: Earl Wayne, Janell, George Myron, Tommy Joe, Della Anne, Ralph Leslie, Ruth Irene, Patricia, Mertle Debra and Susan Erlene. They moved to Highland (#60 on the 1958 Highland map - interactive, larger) and Earl worked at Geneva Steel and as an Agricultural Technician for the Utah State Road Department as a title searcher. Earl served in the Sunday School and YM presidencies and taught in various organizations. He worked in the Provo Temple for eight years. Velma spent much time in the Primary organization in a variety of callings. 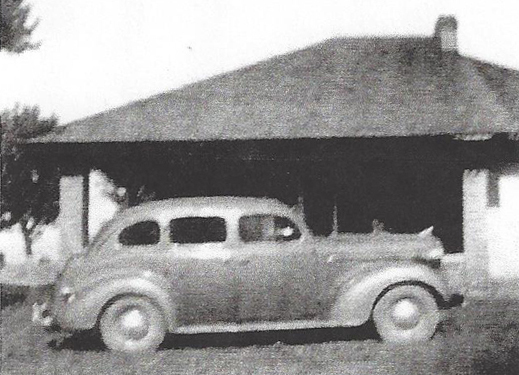 Juston Peter and Isabell Robinson Allred: The Allreds came to Highland in 1923 and stayed only a few years. They were married October 6, 1920, in Bonneville, Idaho and lived in Grant, Idaho at the 1920 census. At one time they lived in Vernon, Utah and in 1930 they were in Osgood, Idaho and later moved to Idaho Falls then spent their last twenty plus years in Ogden, Utah. Juston was born March 15, 1900, in Ferron, Utah to Ephraim Lafayette and Harriet Matilda Brunson Allred. He served in the Army at Fort Riley, Kansas from April 25, 1918, to March 15, 1919. Isabell was born January 20, 1901, in Grant, Idaho to Richard Westhead and Lucinda Elizabeth Gardner Robinson. They had eight children: Grant Robinson, Iola, Norma, Verena, Alton Peter, Justin Blaine, Mark Leon and W. Gale. When Juston registered for the WWII draft in 1942 he was living in Idaho Falls and working at the Utah-Idaho Sugar Company. He died June 20, 1966, in Salt Lake City and Isabell died January 6, 1986, in Ogden. They are buried in the Liberty City Cemetery.